The Democratic Republic of the Congo (formerly Zaire) lies in Central Africa, bordered by the Republic of Congo to the north-west; the Central African Republic and South Sudan to the north; Uganda, Rwanda, Burundi and Tanzania to the east; and Zambia and Angola to the south. There is a short coastline at the outlet of the River Congo on the west coast. Imports: Consumer goods; foodstuffs; mining and other machinery; transport equipment; fuel. The Democratic Republic of the Congo (DRC) is a member of the Paris Convention and the WTO/TRIPS. The Law provides for the registration of trade marks for goods and services, for collective marks, for manufacturing marks, and for national warranty marks. The Law states that the filing of a mark is compulsory for each commercial operator. Applications may be filed as national applications and, in appropriate circumstances, claiming convention priority in terms of the Paris Convention. The Democratic Republic of the Congo (DRC) is a member of the Paris Convention and the WTO/TRIPS. Patent protection is available in the DRC by way of a national filing. The DRC is a signatory to the Paris Convention and a national filing can claim convention priority. The DRC is not a member of the PCT, ARIPO, or OAPI. It is to be noted that foreign applicants must be represented by an agent in the DRC. The Democratic Republic of the Congo (DRC) is a member of the Paris Convention and the WTO/TRIPS. Protection for industrial designs is available in the DRC only by way of a national filing. As the DRC is a signatory to the Paris Convention, such a national filing can claim convention priority. 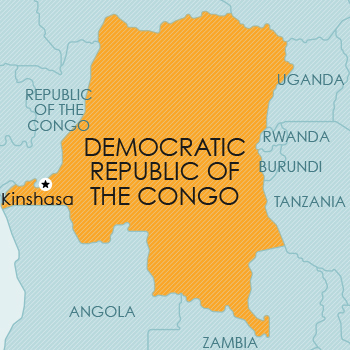 The Democratic Republic of the Congo is a member of the Berne Convention, the Phonograms Convention and WTO/TRIPS. Currently, no legislative provision for plant breeders’ rights or other sui generis protection for plants is available in Democratic Republic of the Congo.